The digital world has reached all aspects of our lives and the music field isn't an exception. 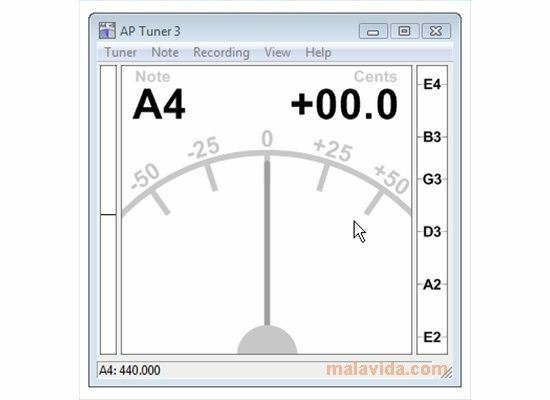 Now it's possible to tune any instrument easily with the help of a computer, thanks to applications like AP Tuner, a tuning utility that is specifically adapted for string instruments. 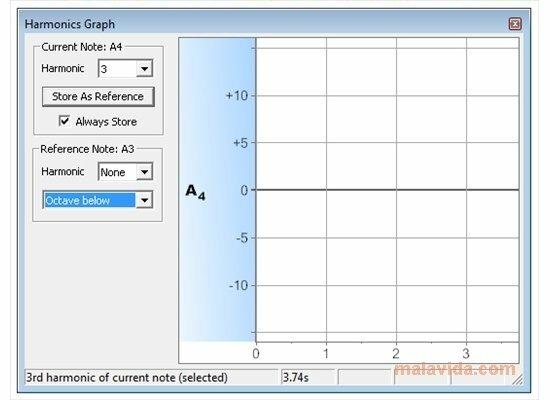 - An energy level indicator. 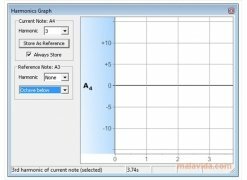 - Proximity to the next semitone. 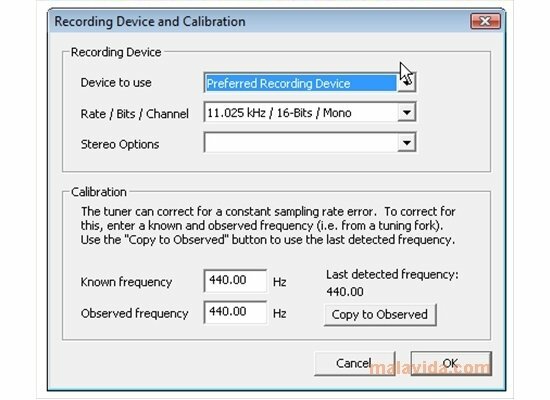 The application also offers us the possibility to configure the recording of sounds from different devices. 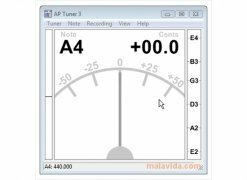 AP Tuner has preset adjustments for different string instruments like the guitar, the bass, the viola, the violin or the violoncello, but you can configure other instruments from the “Edit Note Presets” from the “Note” menu. 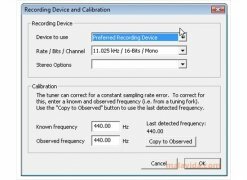 This software can be assessed for an unlimited amount of time. 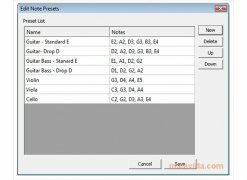 This download works on Windows Vista or earlier operating systems. 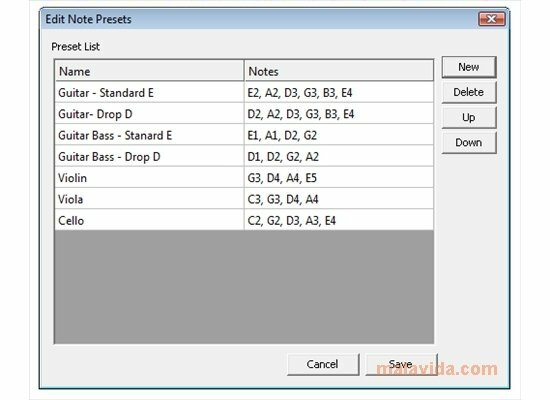 This program requires that you computer has a digital instrument adapter or a microphone to work.